« “Art of the Athlete” II – next spring in Aix-en-Provence! Call me a Yankee, but I’d thought General Ulysses S. Grant and President Abraham Lincoln had settled matters with Robert E. Lee and his ilk at Appomattox in April 1865, far beyond our poor power to add or detract. But at a hearing on Thursday, Judge Sidney Fitzwater of the United States District Court for the Northern District of Texas dismissed the lawsuit, which was brought by a Dallas resident and the Sons of Confederate Veterans. The plaintiffs argued that the City Council, which had voted earlier on Wednesday to immediately remove the statue, had violated their First Amendment rights. City officials said in a statement that an art conservator monitored the proper handling of the statue, and police tactical officers with automatic rifles provided security. The statue was lowered onto a flatbed trailer for transport to an abandoned naval air station owned by the city on its western outskirts. It’s expected to remain there until city officials decide the statue’s future. 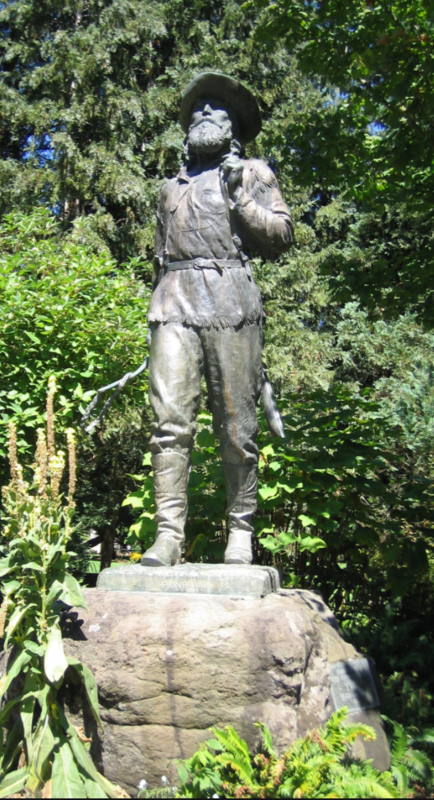 Proctor lived in Eugene in the 1910’s with his family while he worked on UO’s Pioneer Mother and Father statues. His daughter married the son of Campbell Church, the man whom the fierce UO supporter and remarkable person Irene Hazard Gerlingher later convinced to donate his Treetops mansion to the University. 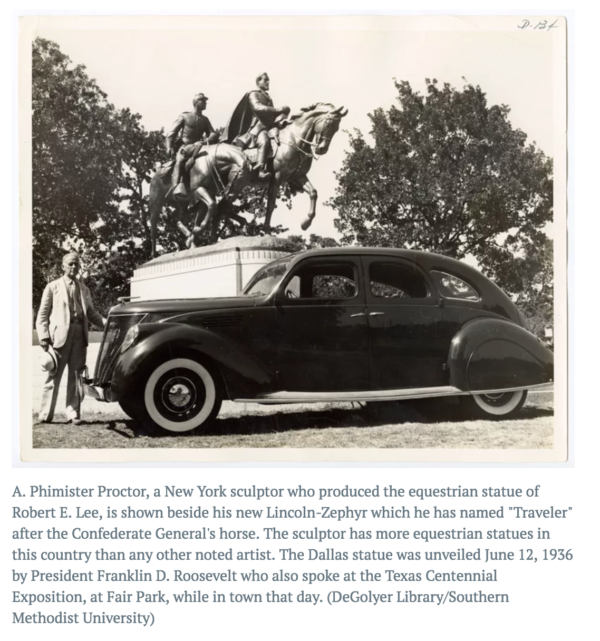 Proctor’s sculpture of Lee was unique in that it included an anonymous man on horseback representing the millions of southern white “useful idiots” who were, and still often are, duped by the rich and powerful to fight against their own economic self-interest and basic human decency to help in the oppression of others. I’m no expert on Diversity, Power, and Agency, but Karl Marx sure got that part right.